There is nothing worse than sitting in front of your laptop, attempting to write a new blog post with nothing but a blank screen staring at you. We all have those days where inspiration just doesn’t strike and we can’t come up with a single workable post idea. Or maybe you’re in a rush and you need something quick you can write and publish to stick to your blogging schedule and keep your readers happy. You don’t want to spend a bunch of time trying to come up with something to write about. In either scenario it’s nice to have a list of blog post ideas ready to use. And that’s what we’ll work on today. I’ll walk you through a simple little brainstorming exercise that will result in dozens of blog posts ideas you can use over the coming weeks and months, or whenever you need a little extra inspiration. 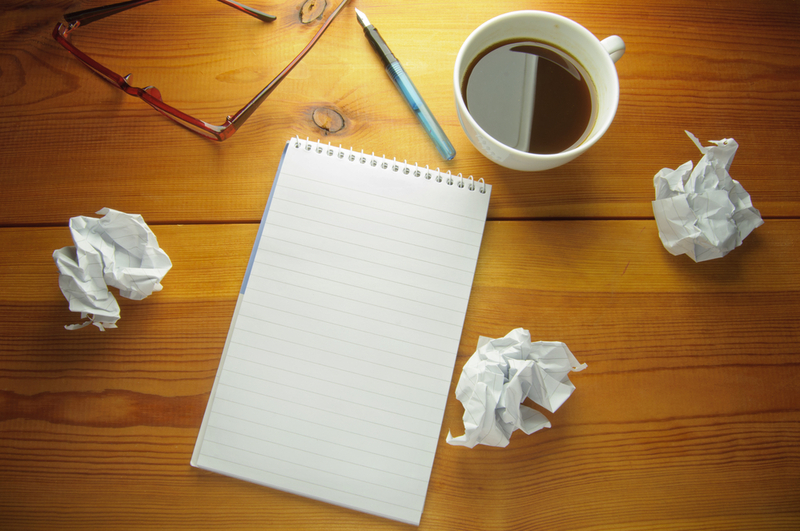 Grab a notebook and pen, and let’s start brainstorming a whole list of future blog posts. I prefer to do this exercise with pen and paper, but if that’s not your thing, by all means use a word document, spreadsheet or whatever program you prefer for brainstorming topic ideas. Start by making a list of all the categories on your blog. You may have a pretty good idea of the main ones or the ones you use the most, but there may be some you are forgetting. Log into your blogging interface and look up the categories you have set up. Copy them down in your notebook, leaving at least 10 lines of space below each category. Or if you are just getting started, think of all the areas that you want to post about. One simple way would be to think of all the questions that you are asked by your customers. Make a list and then put them into categories. Now that you have your list of categories, come up with 10 blog post ideas for each category. Don’t censor yourself, just jot down the first things that come to mind. Remember this is a brain storm. The idea is to generate ideas without judgment. You’re free to tweak, edit, and reject them later. For now, get them on paper and come up with a long list of potential post ideas. One of the best things about this technique is that you can repeat it whenever you need a new batch of blog post ideas. By the time you get back to this brain storming technique (which means you’ve used up all the previous ideas), it will be easy to come up with fresh blog post topics for each category. And since you’re focusing on coming up with ideas for each category, no area of your blog will be neglected over the coming weeks. Give it a try and see if this simple idea doesn’t help you generate a long list of future blog post topics. Love to hear how this has helped you come up with your next great ideas.